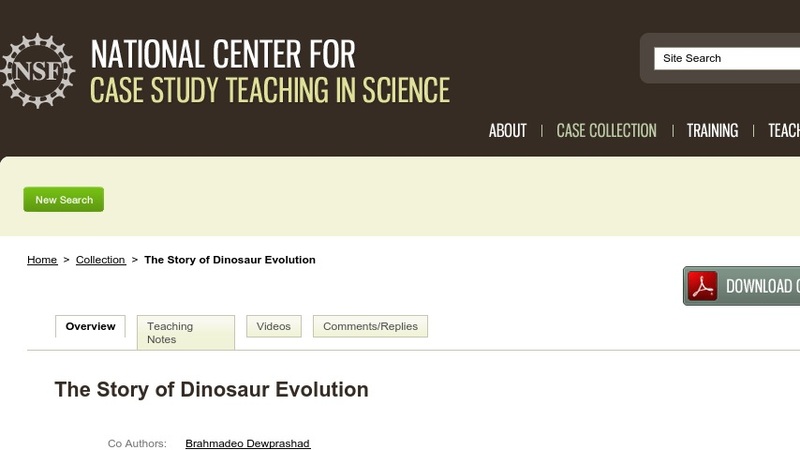 In this case study, students write their own “evolution stories” based on information taken from a review article by Paul Sereno on the evolution of dinosaurs published in Science magazine. In the process, they learn to distinguish between the three major groups of dinosaurs based on physical characteristics; trace the ancestry of individual dinosaur species; and interpret a complex evolutionary tree that includes extinctions, speciation events, and changes in the number of taxa over time. The case was designed for use in non-majors introductory science courses, but could also be used in majors’ courses.